VapeConventions.com is excited to announce that our next Vape South America Expo will be held in Asunción, Paraguay. Our goal is to host vape conventions/vape expos in areas where there is a high demand for premium eLiquids, hardware and wholesale suppliers, but don’t yet have any access to these products and services. This gives our exhibitors a chance to be the first to market in Paraguay. We also expect thousands of consumers which will build demand for vape products for local vape stores. 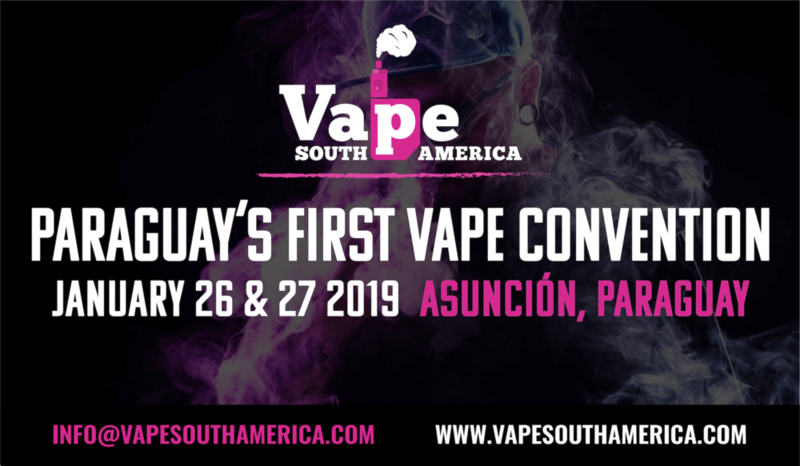 Attending Vape South America: Paraguay 2019 is also a great opportunity for vape shops and distributors to sample new products for their store. We can’t wait to see you at Vape South America Expo 2019!